This contest ended on March 22nd, 2019. The Free Country Free Ride plays a different game every day around 5:00 PM! 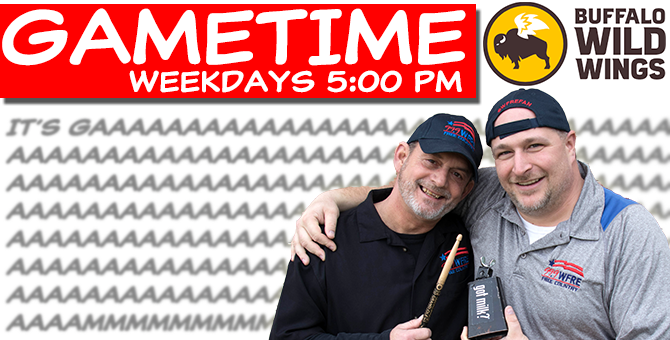 Be caller #9 for a chance to win dinner from Buffalo Wild Wings in Frederick, Urbana, and Gaithersburg. Just listen for the cowbell!